During the summer of 2015, a group of community members gathered together to discuss the need of a centralized resource guide that would connect members of our community to services available to them. This resource guide is a product of the work done by this task force. 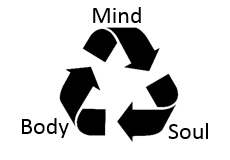 This Resource Guide has been published for the areas within the Central Square School District Community by members of the Body Mind Soul Task Force. It is meant to be used as a reference for programs and services available to community members within the borders of the Central Square School District. This Task force is made up from representatives of the community including: local businesses, school district, government officials, local community service organizations, and area clergy. The mission of this group is to create and maintain a collaborative network of service.